Samuel JIANG, tech-savvy of the Post-80s, is the CEO and co-founder of Shanghai Zhuyun Information Technology Co.,Ltd. Samuel is one of the 1st batch of mentees from Lakeside(Hupan) University and widely recognized as“Super Brain of Lakeside University”.He is frequently invited to speak at Conferences,Seminars,business and marketing events, sharing his passion and viewpoint of internet methodology,internet business model as well as Digital Transformation and so on. Back to 2010, Samuel first came to contact with Alibaba Cloud,he proposed many valuable opinions and suggestions for the improvements. Dr.Wang Jian, then- CTO of Alibaba Cloud Computing, called Samuel”Lao Jiang”and encouraged him to be the test pilot as Alicloud to usher in the development of Chinese Cloud Computing industry. On the occasion in 2013, Zhuyun was founded and has been continuously focusing on a large array of Alicloud products and technologies to offer the”Simple but not simplistic”cloud services to enterprises-level customers,really helping the cloud computing to be put into place. On 28 March 2017, Zhuyun officially launched one-stop Butler Service --“CloudCare”,which has been assembled the service capabilities and expertise over the past 4 years. CloudCare can achieve the high-efficient coordination of customer demand, diagnose and personnel matching by using the combination of 7 major cloud toolkits(Software as a Service) and cloud kitchen( Service as a Software),finalize the smart matching with toolkits and personnel as well as expertise,and output the integrated services through intelligent platform, which enables Zhuyun’s service to be “A Service Cloud”. Samuel is the driving force of Zhuyun’s strategic direction and marketing focus. Under his leadership,Zhuyun has grown into a leading Cloud Service company in China. 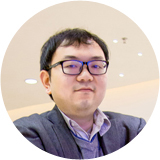 Felix LV has over 11 years of industry experiences and expertise ranging from R&D,Software Architect and Product Design.As a software engineering expert, Felix ever directed and supported multiple big livelihood project executions,business support system and mobile internet products development in Digital TV, China Netcom and other internet companies. Felix has accumulated rich experiences of working across a diverse of large project categories. 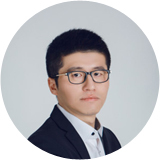 Later as a leader and earliest architect of Zhuyun startup team,Felix has successfully leveraged his expertise by offering cloud solutions and guidance for Citic 21cn Company Limited and Zhongan Insurance,etc. 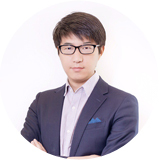 Felix joined Zhuyun as a co-founder, during the previous two years,he was responsible for the design and planning of the Holistic Cloud Virtual Operation Platform and has led Zhuyun R&D and service team to participate in the provincial-level cloud platform construction(also known as CBIS,Cloud Business Service Integrated System) within Alibaba Cloud”Digital China”. Through a close combination with Apsara, CBIS enables many Chinese provinces to possess the cloud service capabilities. “As a co-founder of Zhuyun and product leader, I have full confidence that excellent products with a deeper understanding of Alibaba Cloud will be benefit to more cloud builders from home and abroad,so as to speed up the process of Alibaba Cloud’s globalization. “Felix said. Felix holds an engineering degree in Computer Science and Technology from Zhejiang Normal University. Larry XIAO is the co-founder and COO of Zhuyun, a post-80’s entrepreneur and pioneer in Cloud Computing. After starting his career at IBM, Larry has spent more than six years working at the forefront of cloud technology. In 2013, he co-founded Zhuyun and built the devision’s business from a startup to a successful enterprise company with over 2000 customers. With a strong focus on cloud technology and marketplace, Larry accurately predicted the development trend of cloud computing and led his team to steadfastly develop in this field. In this role,he built a architect team,technical team and sales team,etc,providing cloud services to more than thousands traditional enterprises,such as Xinhua News Agency, State Patent Office,Citic Group,Fosun Group, enabling Zhuyun’s professional services to continually meet or exceed our customers’ expectations. Since 2013, he has been instrumental in transforming Zhuyun into a leading Cloud service company and expanding its global delivery& execution capabilities. After four years unremitting efforts,CloudCare--a leading innovative service system,has been formed which has been assembled our service proven experiences. Larry is dedicated to contributing his expertise to more enterprises by using of Cloud computing and Artificial Intelligence and other cutting-edge technologies and driven by his vision of making the world a better place to live. Larry graduated with a Master’s degree from Zhejiang University.